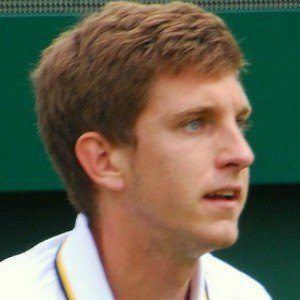 Canadian tennis player who, with his win at the Wimbledon boys' competition in 2012, became the first male Canadian player ever to win a Grand Slam in singles at any level of competition. Later that year, he won his second straight junior Grand Slam title at the US Open. He got his start playing at the North Shore Winter Club in North Vancouver, British Columbia. When he was placed atop the junior world rankings in July 2012, it marked the first time a Canadian has held the top spot. His parents' names are Mark and Monika. He has two siblings, both of which were born in Poland. His victory at Wimbledon in 2012 came just one day after fellow Canadian Eugenie Bouchard won the girls' title.